Marauders. The marauders after a Quidditch match.. Wallpaper and background images in the 动画片《哈利·波特》 club tagged: harry potter sirius peter james remus marauders. 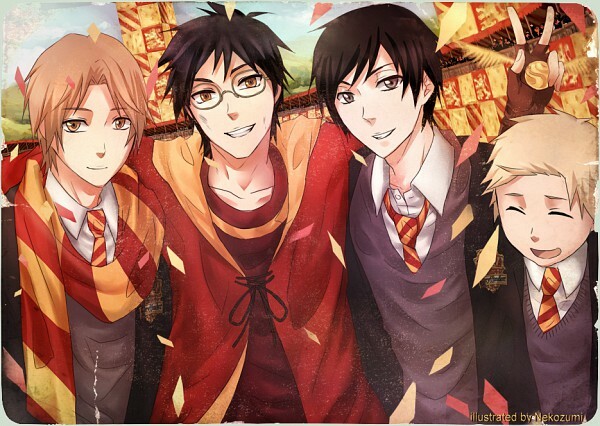 The marauders after a Quidditch match.